The next chapter to Mandarin Oranges? 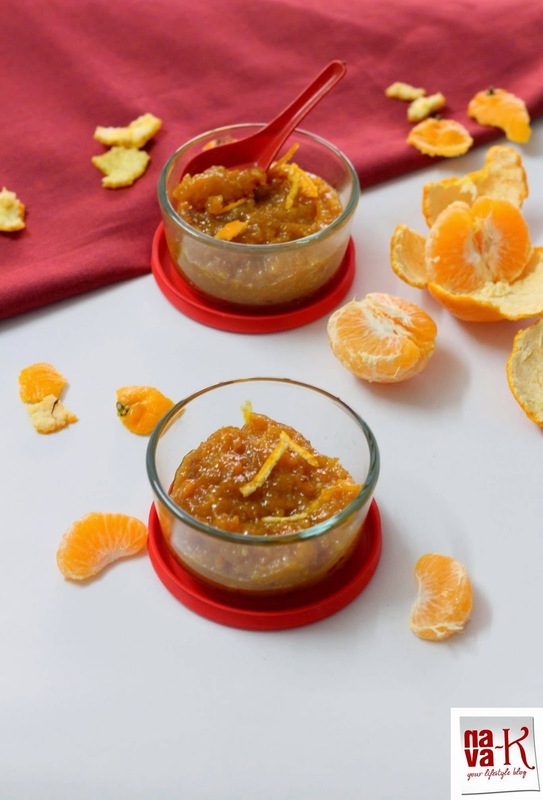 Mandarin Orange Marmalade (Mandarin Orange Sorbet & Mandarin Orange Cake). Not bad me right? Me being not someone who is not a waster. Me trying to save Mandarin oranges from rotting or giving me flu and cough, or the heat is on, on my body? Mind you, too much of anything is not good and too much of Mandarin oranges eating can lead to? I think you know it or I have already indicated. Making Mandarin Orange Marmalade by the way can be a killer. It can be killing to your time and can literally put struggle to your arms. Furthermore, you got to watch for preventing marmalade from being burned at the bottom. Other than that, you only need two ingredients. Oranges and sugar basically for this jam which can show the way to toast or a tiny bit of Mandarin Orange Marmalade atop ice-cream or waffles (Nescafe Chocolate Cake, Chocolate Genoise & Milo Cake). Simmer fruits over very low heat alongside enough water to soften. Remove from heat, drain off the water and cool down the fruits. Thereafter, gently remove the pulp and discard the seeds. Chop up pulp and add in a pot with sugar. Simmer, cook and stir for a thick marmalade. Optional; add some chopped peel (without the white pith/scrape it out please). Yummy marmalade to spread on a toast! Beautiful clicks Nava! Super easy n delicious and top of all homemade!!! Off to try this!!! This marmalade looks so delicious!! Btw, I hate, hate crackers too! Can't understand why people love it! 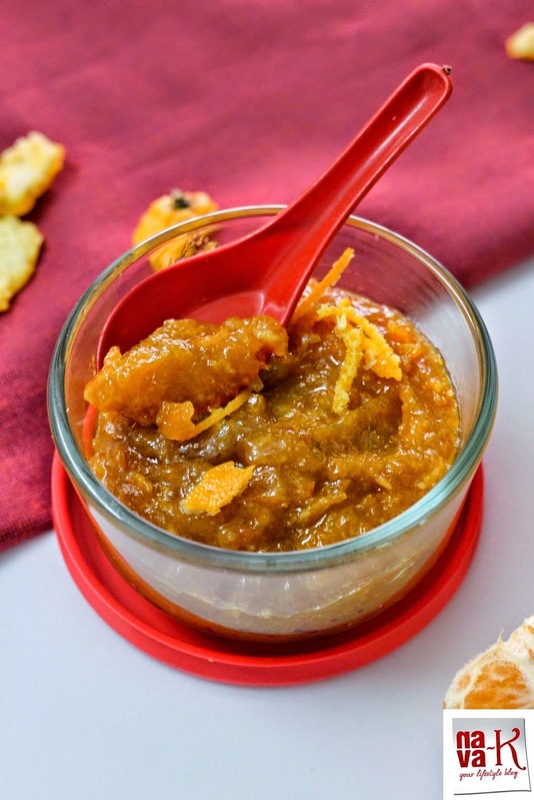 Your Mandarin Orange Marmalade looks amazing..Would love to have this on toast for my breakfast..
Love marmalade and how nice to make it with mandarins. Delectable,quick & easy jam with less ingredient. 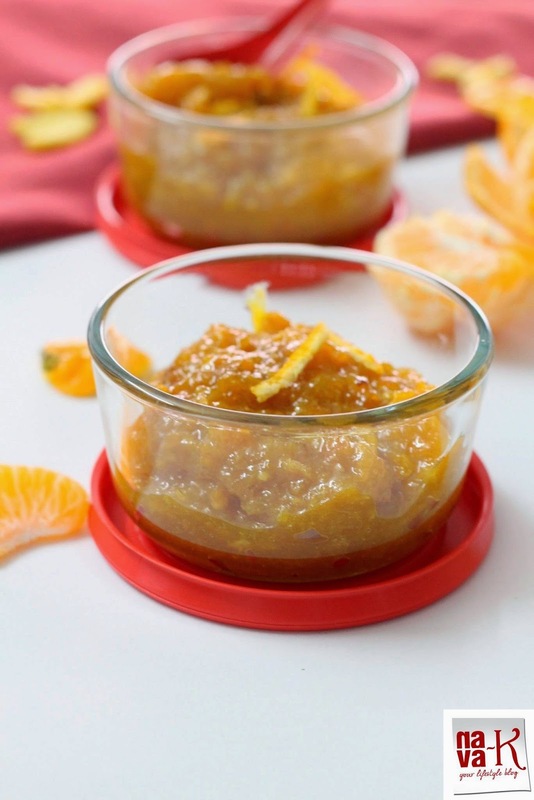 Yums...I have made this marmalade before from those mandarin oranges that is too sour. Nice. I've never actually made marmalade before.....how long does it take before it thickens and sets? I actually saw fire crackers for the first time in a long long time this year because it's not very common here so unless you specifically go out to watch it you won't see any. Always thought it'd be cool to have crackers going off in the neighbourhood- would make things a lot more interesting! Simply damn delicious homemade marmalade!! !